I wish to take this opportunity to thank you for convening this meeting, and align myself with the statement delivered by distinguished representatives of Yemen on behalf of the G77 and China, Nepal on behalf of LDCs and China on behalf of Asia Group. My delegation expresses its appreciation to the Secretary-General for his Report on Agriculture Development and Food Security which will certainly play an important role for our deliberations. We agree and welcome the recent reforms made to the Committee on World Food Security within the Food and Agriculture Organization, which renewed their commitment towards coordination of food security on the international scale, as well as formalize the involvement of an expert panel towards this cause. We recognize the leadership and efforts of those who have kept food security challenges of developing countries on top of the global agenda, and will continue to work with them in improving food security in Afghanistan. Prior to the conflicts that disrupted the way of life in the country, Afghanistan had a healthy and self-sufficient agricultural economy, which produced both food as well as economic crops. Current agricultural productivity, however, is not as optimistic given the vast damage done to the physical infrastructure as well as higher dependence on rain-fed agriculture. Â As such, millions of Afghans are either starving or threatened with starvation on a daily basis, depending on food assistance for survival. Henceforth, it is critical for us to rapidly revive our agricultural sector through restructuring and investment, while also paying attention to issues of long-term environmental sustainability. Although crop productivity has improved in the last year from ample and well-distributed rainfall, the droughts of 2008, 2009 still reminds us of our vulnerability. Besides supporting the livelihood of the large rural population (which is 80% of the total population), agriculture also constitutes 53% of our national economy and hence is of vital importance to the reconstruction of Afghanistan. As much as we appreciate international humanitarian assistance in tiding us through our recovery period, we also seek partnerships in building improved and accessible irrigation systems, technology and better agricultural practices. The large fluctuations in crop productivity over the past years highlight the key challenges we face as we tackle the issue of food security. Increased water scarcity coupled with rainfall variability, both possibly augmented by climate change; exemplify the weakness of rural agriculture in Afghanistan. The lack of irrigation infrastructure and low water security correlates strongly with rural poverty, and hence serves as key hurdles in achieving the Millennium Development Goals. 37% of our population is in the borderline of food security, and 59% of our children below the age of five, suffer from stunted growth due to malnutrition. The proportion of the population below minimum energy consumption (of 2100 calories) has increased, and seasonality-driven poverty and food shortage have been drawn to our attention. Volatility in global food prices also present significant challenges to the situation. The points of leverage for effective agricultural and rural development lie in small farmer households, and the role of women in food provision and preparation is central to pursuing food security targets. Partnerships forged between the government, communities and the private sector, in directing efforts and investments can facilitate the development process and make rural agricultural communities more robust and resilient. Firstly, through better water and national resource development, we seek to improve both quantity and quality in our agricultural sector while reducing stress imposed on the natural systems. Secondly, by identifying gaps in the current agricultural system dealing with inputs and outputs, we aim for comprehensiveness in agricultural production and market development. Thirdly, taking heed of the close links between rural access and poverty alleviation, our expansion of road and communication networks will empower the rural poor. Fourthly, local institutions will be strengthened with the establishment of Community Development Councils and civil service expansion. 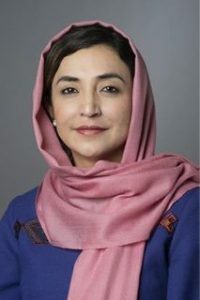 The revival of Afghanistanâ€™s agricultural sector represents an opportunity for Afghanistan to achieve strong growth and food self-sufficiency, and also represents great possibilities for international cooperation and friendship. As we take these steps, we will need stronger partnerships with the UN agencies to facilitate greater investment in physical infrastructure, knowledge sharing as well as technology transfer. These investments and assistance can also be improved through responsive targeting to the needs and priorities of Afghanistan, thereby fast-tracking MDGs. The targets of poverty alleviation, hunger reduction and stabilizing food security are all tightly interconnected with womenâ€™s rights, rural development and economic growth. Our efforts are in building resilience along with growth, and adapt agricultural practices and regimes to developing environmental and economic situations. We ask the World Food Programme, USDA, FAO and other funders to continue their assistance to us, and for the international community to work together on achieving global food security. 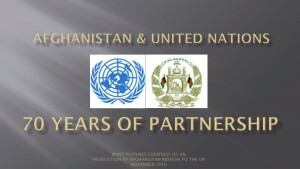 Before closing I take this opportunity to thank the UN system; in particular, the World Food Programme and the Food and Agriculture Organization and other all other partners for their continued support to the people of Afghanistan.